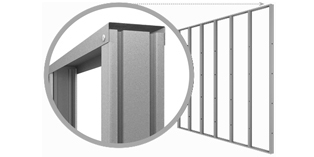 The selection of a particular acoustic wall system is usually determined by BCA requirements and the required Rw rating. 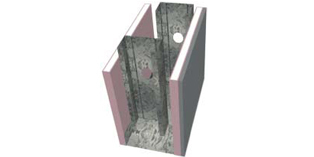 The BCA defines discontinuous construction as a wall having a minimum 20mm cavity between two separate leaves. Where the BCA requires a discontinuous wall, two separate walls must be constructed side by side. Each wall is sheeted on one side only and appropriate insulation is placed between the studs on at least one side. This type of wall configuration provides excellent acoustic performance against airborne noise and acoustic impact. As the walls are sheeted on one side only, at least one row of nogging should be installed in each wall. 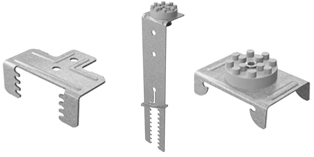 For details on stud selection and spacing refer to the Knauf Metal Manual and refer to table SWS-02 in the Steel Wall Systems section, or contact Knauf Technical Team.  Refer to Knauf Plasterboard Installation Guide for complete plasterboard installation instructions.